The Lamborghini Huracan Performante is a Huracan dialed up to 11. It’s lighter, more powerful, and more nimble than the standard model but all the extra performance doesn’t blend well with an over-enthusiastic driver. 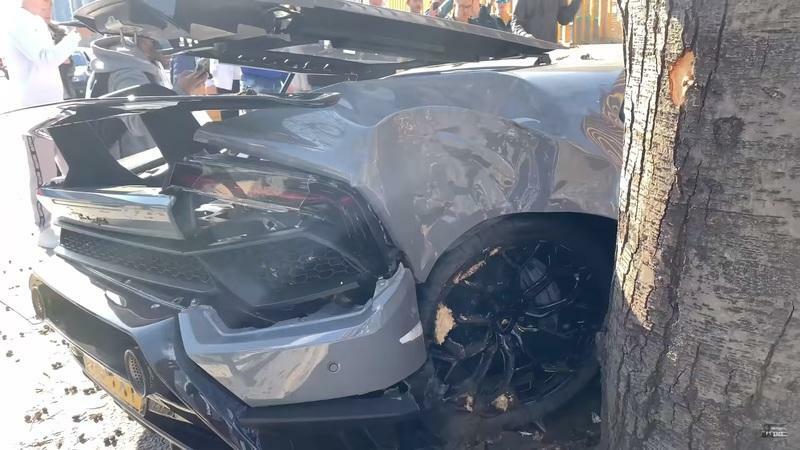 This particular fellow wanted to show-off the launch control feature on his Huracan Performante but, instead, managed to prove how safe the Huracan is after crashing side-on into a tree and a wall. Reporting on yet another crash involving a supercar may seem a bit daft especially since they seem to happen with an awkward regularity. Once every two or three weeks we hear about someone who overstepped it on the public roads and ends up with a bent exotic car. It barely ever happens during a track day, but you can decide if that means anything or not. 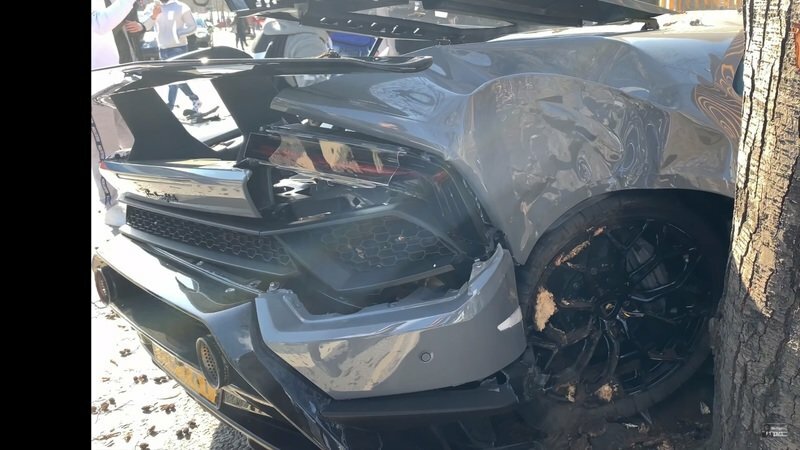 This time, however, we’ve got another Huracan Performante that’s in the gutter after its owner banged it up pretty severely while attempting to leave a car meet in London as if he knew what he was doing. It’s safe to assume he didn’t quite know what he was doing. 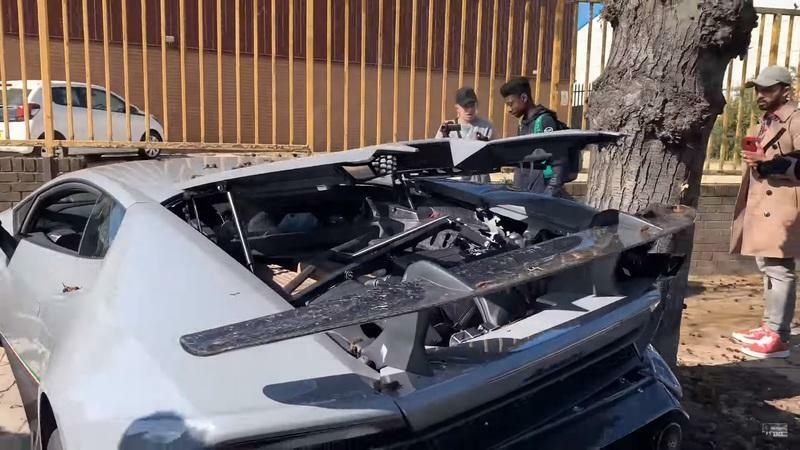 Looking at the images of this badly damaged grey Lamborghini, with its sort of ironic numberplates reading ’V10 TXT’, I can’t help but remember that overused cliche about money not being able to buy the talent you need to tame an expensive supercar. The story we have here seems to follow the idea faithfully. We’ve got one individual who’s a happy owner of a Lamborghini and one car meet. The car meet, organized by exclusive car dealer HR Owen in Acton, West London, on Sunday, is a popular event in the metropole that often attracts a plethora of supercars and many onlookers that relish the occasion of seeing cars just like the Lamborghini Huracan Performante in the flesh. Maybe it was for these onlookers (and for the cameras pointed at him) that the man in the Lamborghini attempted to do a launch control start on a narrow street outside of the area of the car meet. According to an eye-witness quoted by Daily Star, the driver "was revving and decided to do a launch control [start], at which point he lost control because of his cold tires." He added that "[the car] hit the tree, went up the curb, and hit the wall – I’m pretty sure he was crying when he got out. It was easily a write-off." Other witnesses claimed that the driver swerved to avoid oncoming traffic and that’s what caused the car to slide and strike a tree on the side of the road with its passenger side. Luckily, though, the car hit the tree in the rear quarter panel area and, as a result, the driver was able to get out unscathed. 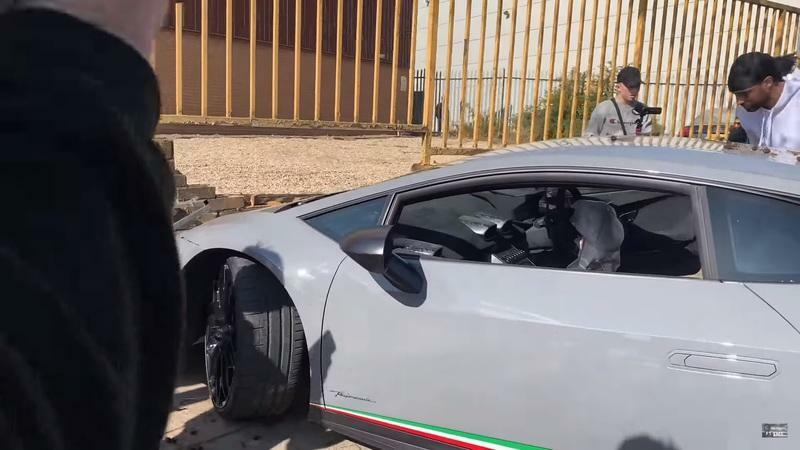 Believe it or not, this isn’t the first time that a Huracan Performante has been crashed. Earlier this month, another one (judging by the body kit) ended up in a ditch on Ferny Hill near Hadley Wood in North London, according to Entertainment Gazette. Behind the wheel was Michael Hudson, the CEO of Bitstocks, a cryptocurrency market advisory and investment firm. The $382,557 Huracan painted in a reportedly unique tint of purple is said to have aquaplaned off the road. Hudson was able to dodge a lamp post and, instead, slid the other way and ended up in a ditch. The car was towed out from the ditch and appeared to be only minimally damaged, albeit incredibly dirty. “It’ll buff out," said Hudson after the accident. "In all seriousness, this is the best approach. As long as you’re healthy, your safe, this is just metal, very nice metal, but ultimately this is just metal," he added. 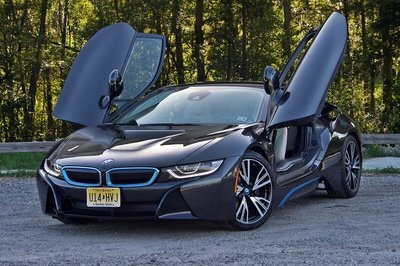 It’s just metal, carbon fiber, glass, plastic composites, and many other special materials, we’d add. 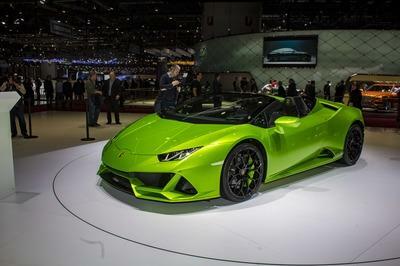 The Lamborghini Huracan Performante was unveiled two years ago at the Geneva Auto Show as the most extreme Huracan ever made, a claim backed by its ability to lap the Nordschleife in 6:52,01, making it the fastest production car on the Green Hell at the time. 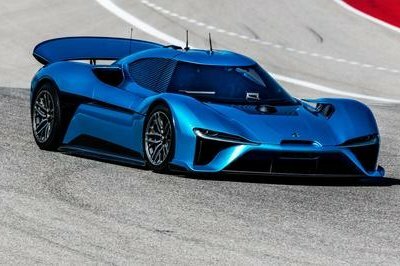 It features clever active aerodynamics, a huge diffuser that cooperates with the fixed carbon fiber rear wing and larger-than-life wheels. 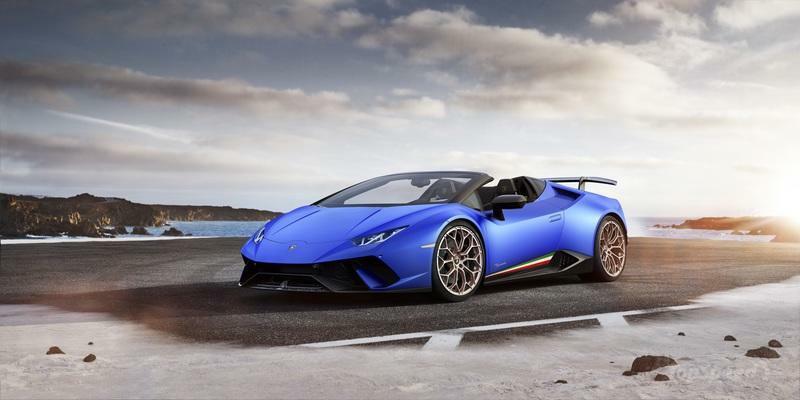 The power comes from a revised 5.2-liter, naturally aspirated, V-10 engine that puts out 631 horsepower and 443 pound-feet of torque, which is an extra 29 horses and 18 pound-feet compared to the standard Huracan. 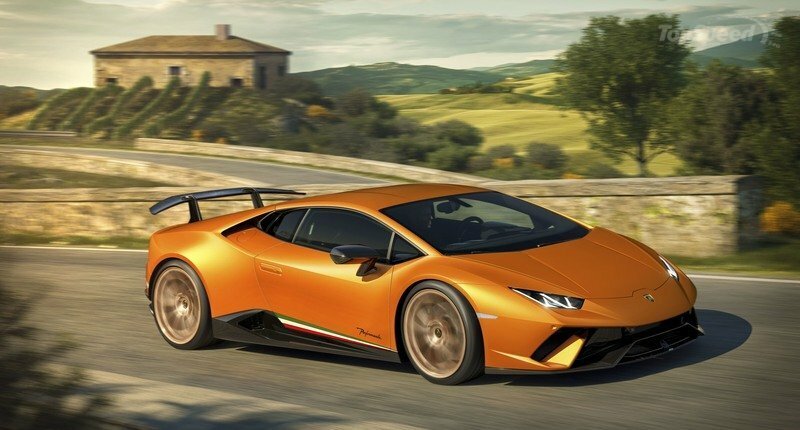 The Performante is also 88 pounds than your average Huracan and 0.3 seconds quicker from 0 to 62 mph as it needs only 2.9 seconds to complete the dash from a standstill. The torque curve was also tweaked, and you get more torque earlier on. The chassis is also stiffer than on a run-of-the-mill Huracan with stronger shocks, springs, anti-roll bars, and arm bushings. These latter parts are stronger by 50%. Carbon-ceramic cross-drilled discs offer the stopping power, and you get magnetorheological suspension that works with the wishbone-style suspension. A standard Huracan Performante cost $274,390 when launched, over $30,000 more than if you were to go for a non-Performante model. 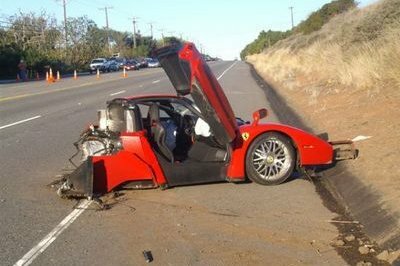 Talking about high-expense crashes that have happened in the recent past, I can’t sign this piece off without mentioning the sad incident that took out a Koenigsegg CCXR in Mexico on March 20th. The CCXR Edition is one of the rarest Koenigseggs ever made as only four units were ever produced and the one that got damaged was the only one painted in turquoise. Nicknamed ’The Special One,’ this particular CCXR Edition was once owned by the Al-Thani family of Qatar and is worth in excess of $1.57 million. 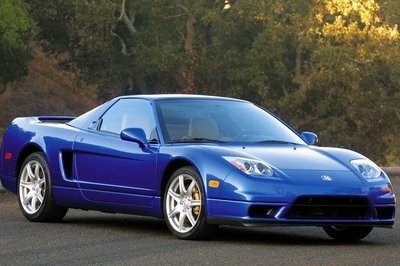 This is in no small part due to its rarity but also due to its astonishing performance. 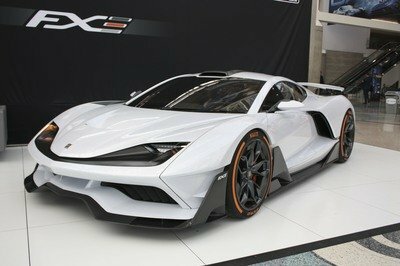 Powered by a 4.7-liter, twin supercharged V-8 engine, the CCXR puts out 806 horsepower on regular fuel and up to 1,017 horsepower when the car is fed with E85 Biofuel. Luckily, this Koenigsegg is fixable as only the front fascia, and one of the doors suffered damaged after hitting a lamp post and a curb. However, an Agera RS that crashed at speed in mid-February in Switzerland might be a write-off as was the one-off CCX Custom Vision that was binned in 2016 after rolling a few times, also in Mexico. Read our full review on the 2017 Lamborghini Huracan Performante. Read our full review on the 2018 Lamborghini Huracan Performante Spyder. What Happened To The Koenigsegg One:1 When It Crashed In The Nurburgring?